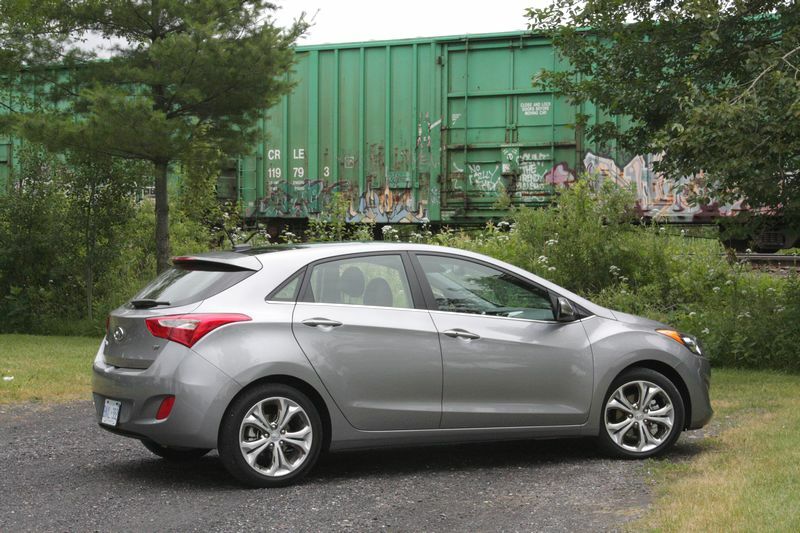 In Canada, hatchbacks and Hyundai are hot stuff right now. 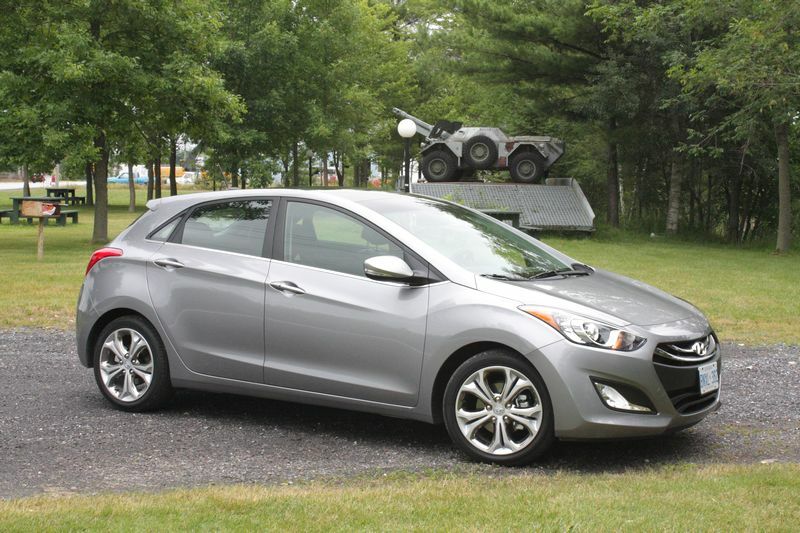 Hyundai’s problem (a first-world problem if ever we’ve heard one) is that its strong-selling compact Elantra was available only as a sedan, while many of its competitors’ small cars can be had in a variety of body styles. 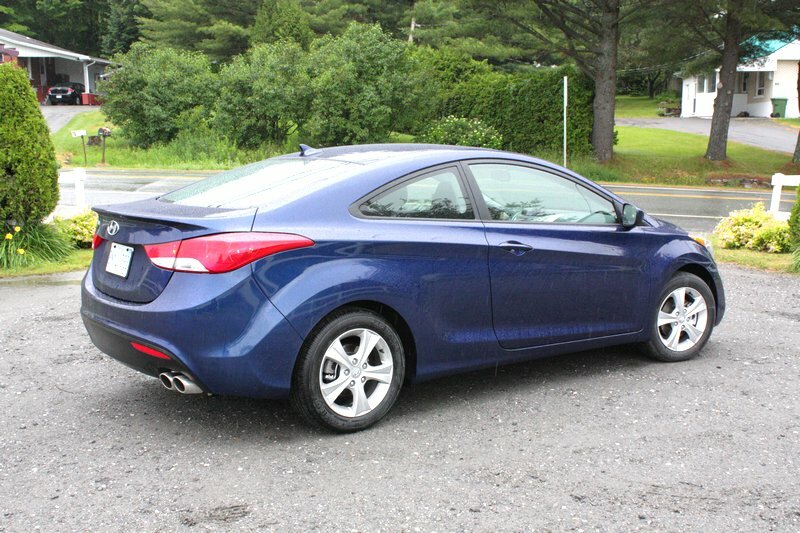 For 2013, the Korean automaker answers a question that I’m sure some have been asking, by adding a hatchback and coupe to the Elantra line. True, the Elantra Touring station wagon has been available since 2009, but, as the marketers are so eager to tell us, wagons aren’t cool and no one wants them. The 2013 Elantra GT therefore sacrifices some practicality for a more stylish hatchback body, in the vein of a Mazda3 Sport or Ford Focus five-door, which happen to be the cars Hyundai sees the GT competing most closely with for buyers. We got a chance to drive both coupe and GT models at a recent first drive event in Montreal. The need for an Elantra coupe was less obvious to us, but Hyundai’s Canadian PR reps say this car presents an opportunity to take a bite out of a market that is largely owned by Honda’s Civic coupe. In the past, General Motors was a major player in small two-doors, until it replaced its Chevrolet Cobalt with the four-door-only Cruze. With that popular player gone, the Elantra two-door will compete with the Civic and its corporate cousin, the Kia Forte Koup. 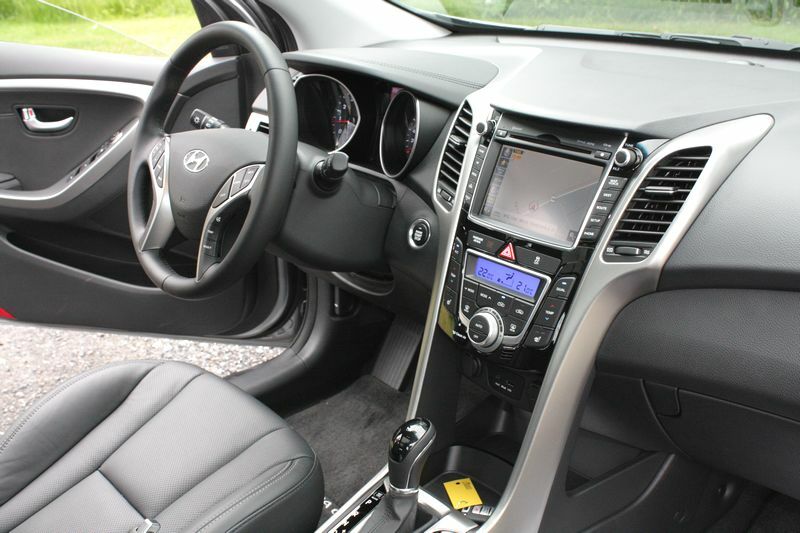 Like the Elantra sedan, the GT and coupe offer good interior space that’s around average for the class. The GT’s cargo space is less generous than the old Elantra Touring had; the coupe really only sacrifices some rear seat headroom; its trunk space matches the sedan’s, and the rest of the interior is as spacious (if not as easy to get in and out of, thanks to the lack of rear doors) as the sedan’s and GT’s. While all three cars share the Elantra name, they are not all the same underneath. The coupe is essentially an Elantra sedan with two fewer doors, but shares a different rear suspension with the GT, a torsion axle setup with a stabilizer bar in place of the sedan’s less-sophisticated (Hyundai’s word) rear suspension. GT models get stiffer rear springs and better shock absorbers, and the coupe’s suspension is tweaked depending on trim level to accommodate the two wheel and tire packages (16 and 17 inches) offered on the two-door. The GT also rides on a unique platform, the car being a near-twin to the Hyundai i30 sold in overseas markets. All three cars use the 1.8-litre four-cylinder “Nu” engine found in the Elantra sedan, as well as that car’s six-speed manual and automatic transmissions. Its power ratings (148 hp/131 lb-ft of torque) remain the same for all three cars, putting it roughly mid-pack in the numbers game. It’s a good engine, but if you choose to shift for yourself, you’ll be doing a lot of it to keep the motor in its sweet spot. Hyundai has made much of this engine’s fuel efficiency, and its Natural Resources Canada ratings of 7.3/5.0 L/100 km (with the automatic transmission; the stickshift does slightly better); this engine does without the direct fuel injection technology used by a number of its competitors (and, indeed, other Hyundai models) because, as Hyundai explains, it wasn’t necessary to meet the company’s economy goals. Automatic-equipped cars have an ActiveECO fuel-saving mode, a driver-selectable system that softens throttle response and changes the transmission’s shift pattern to boost efficiency. The GT also gets what Hyundai calls Driver Selectable Steering Mode (DSSM), which lets the driver choose from three levels of power assist: comfort, normal and sport. This feature is a first both for Hyundai and the compact segment, and was conceived to allow different drivers to tailor the steering to their own preferences. It’s a bit gimmicky, though, and doesn’t actually affect the car’s performance in any meaningful way; the GT’s steering ratio is virtually identical to the sedan’s. The coupe, meanwhile, has slightly quicker steering than its linemates. 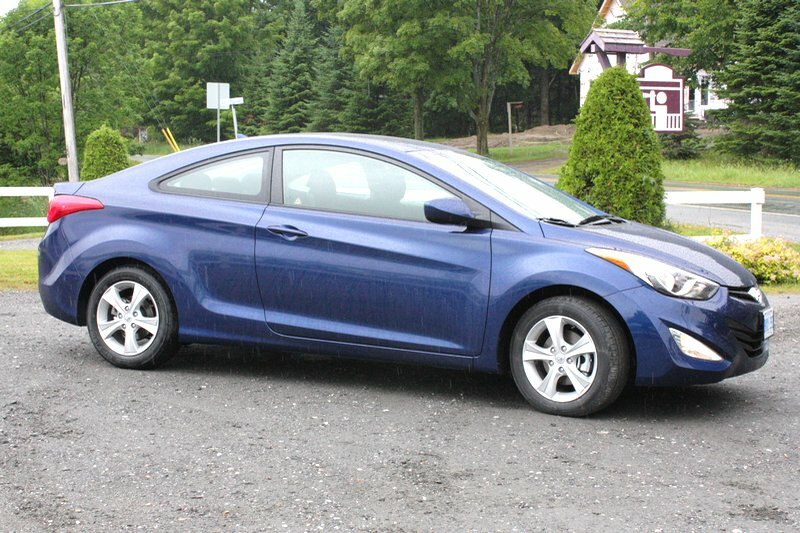 That said, the GT gets the nod as the best-handling member of the Elantra family. It feels a bit more substantial over the road than the coupe and sedan, and the rear suspension provides better body motion control, too. The coupe is a decent handler in backroad driving, as long as the asphalt is smooth; broken pavement brings out the same skittish rear-end feel the sedan is guilty of. Both coupe and GT models come with a comprehensive list of standard kit that includes air conditioning, heated front seats, cruise, trip computer and Bluetooth. The coupe is offered in GLS and SE trims, while the GT can be had in base, GLS and SE configurations. It’s worth noting that in both cases, the SE trim includes the automatic transmission, with cannot be deleted in favour of the manual. Coupe pricing ranges from $19,949 for the GLS ($21,149 with automatic) to $25,199 in SE form, which includes navigation, premium audio, leather, automatic climate control, among other niceties. The GT hatch starts at $19,149 in base form and bumps to $21,349 for the GLS model (the automatic is a $1,200 option in base and GLS models). The GT SE is worth $24,349, including leather, automatic climate control and a front windshield de-icer, and can be optioned with a Tech package that adds push-button start, proximity key, navigation and backup camera, for $26,349. 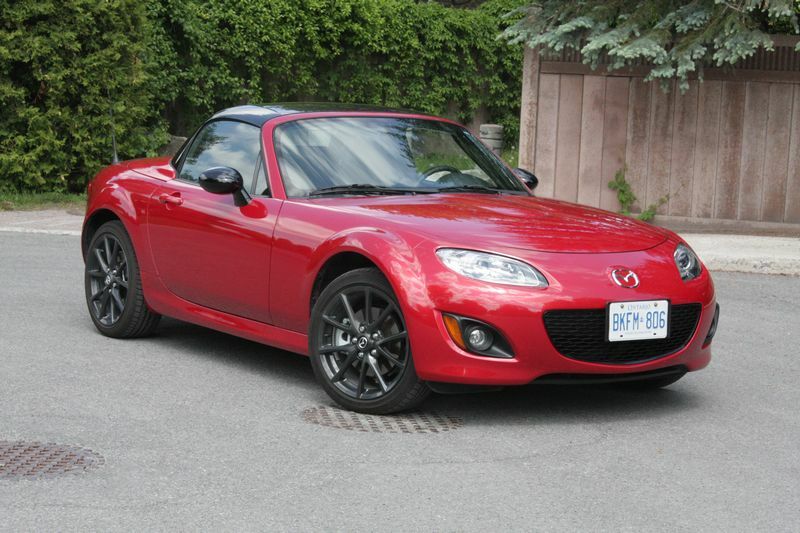 If ever there was a car that could help you remember why you like driving, the Mazda MX-5 is it. Read my Autos.ca Test Drive here. 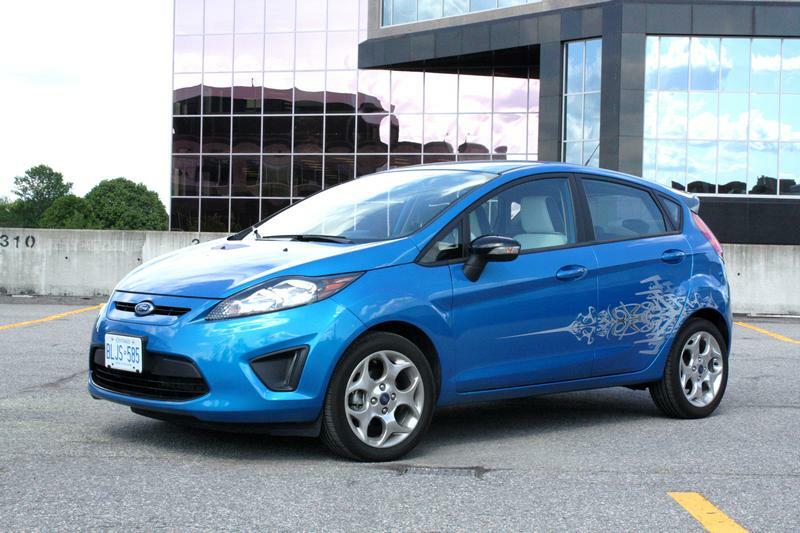 The Ford Fiesta makes a lot of promises to the driver looking for European performance in a subcompact car, but doesn’t deliver on all of them. Read my Autos.ca Test Drive here. 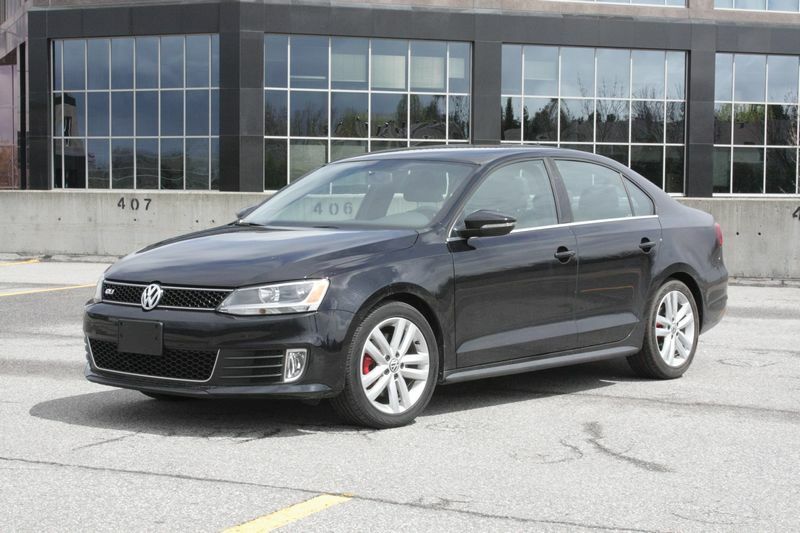 Money can’t buy happiness, but it can buy a Jetta GLI, and that’s money well-spent on a budget-priced sport sedan. Read my Autos.ca Test Drive here. The hits keep coming from Buick, a brand trying to reinvent itself as hip and relevant after decades of selling stodgy, dull sedans. Its biggest engineering success so far is its smallest model, the compact Verano. 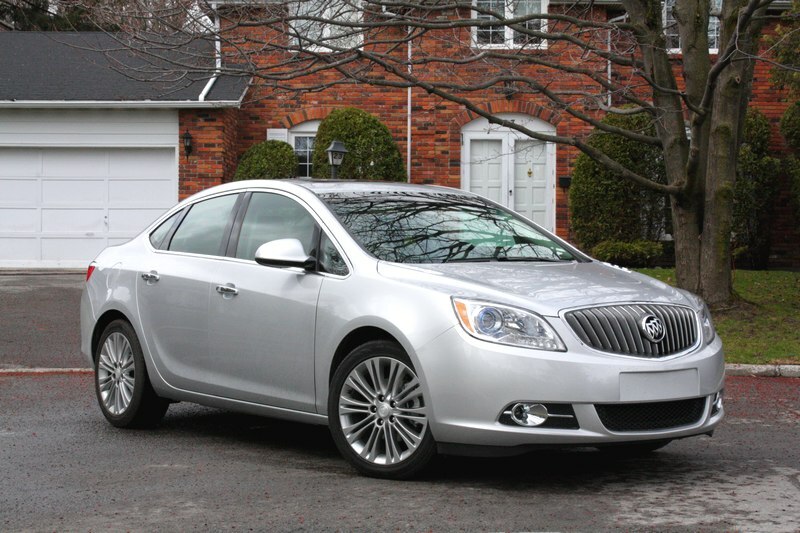 Click here to read my Autos.ca Quick Spin of the 2012 Verano. 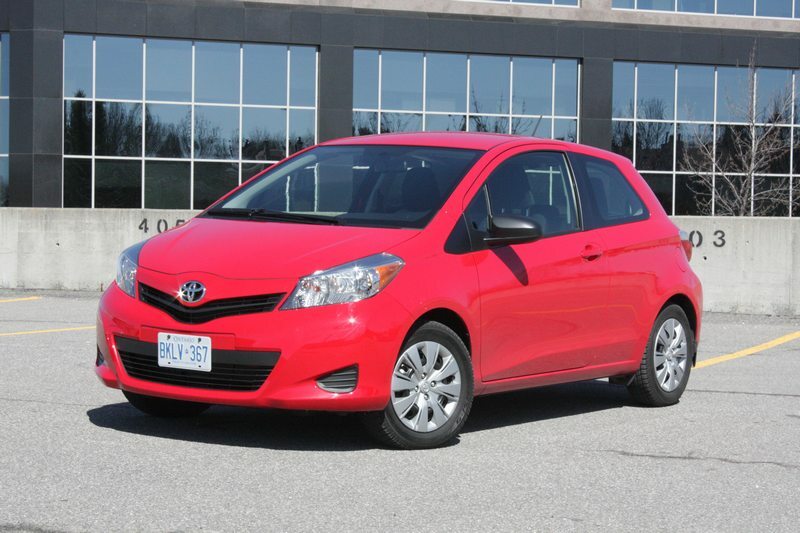 The 2012 Toyota Yaris takes the idea of a basic car to new levels. Overall, it’s easier to like than its predecessor, but the redesign doesn’t address a couple of the old car’s key flaws. Read my Autos.ca review here. 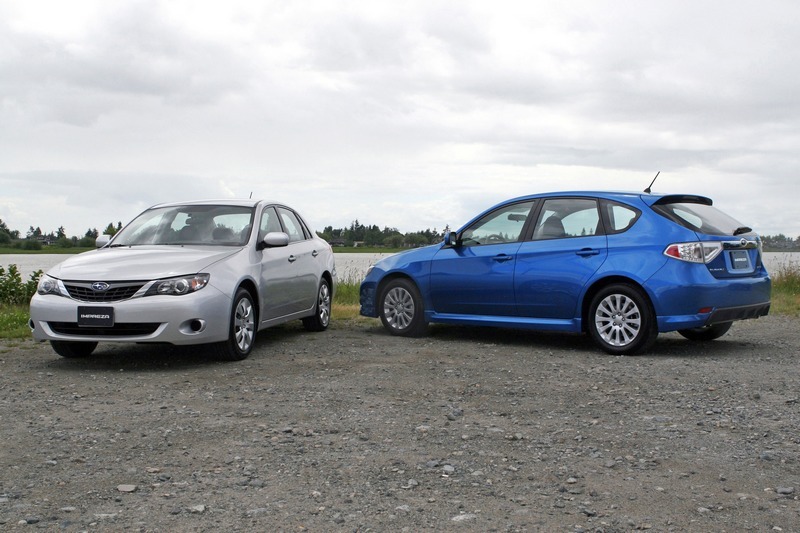 This third-generation Impreza is a better all-around car than the versions that came before it, and, in some ways, it’s better than the redesigned 2012 model that replaced it. This car gets good reliability ratings from many sources, but continues to be haunted by the possibility of head gasket problems in its horizontally-opposed engine. Read my Autos.ca review here.